I hope your journeys continue. Sad news. With any luck Jack is now visiting worlds similar to those he wrote about. What a terrific author, and the worlds loss. R.I. P Jack. My favorite author. A sort of second father. The sort of writer that you dreamed would exist, long before the understanding that he actually did. I've just learned the sad news of Jack's passing as I regularly check a certain website to see if Hollywood has finally decided to start shooting his works. My sincere condolences are with the Vance family and Jack's friends at this time. His vision, wit and masterful storytelling are a wonderful and enduring tribute to his greatness. I'm glad that his long life meant that he must surely have known how highly regarded he was to millions and I hope his family will draw comfort from that enduring legacy. Thanks Jack, for the joy, the dreams, the sheer pleasure and light you brought to this world. My favorite writer in any genre, I think he also serves as an example of a life well-lived. For anyone interested who missed it, a couple years ago Starship Sofa did an audio interview with Fred Pohl and Jack Vance. Very fascinating stuff. I was re-reading the Demon Princes for the umpteenth time when I read the news. Farewell Jack, I hope you found your lurulu. I hadn't heard about his death here in Germany, even though I read several newspapers. It's a shame that Jack's death went unnoticed here. I found out because in an internet forum someone asked about our favourite authors and when I wanted to link the Wikipedia article I saw the date of his death. I hope the gods grant Jack a long tour through all the worlds he has created until he retires on Sirene, wearing a Dragon Conqueror. May his work continue to inspire an delight generations to come! I loved the verbal skills he gave even his most minor characters. I liked his descriptions of sausages. I was especially grateful to get access to a large selection of his books when my dad was particularly ill and needed cheering up. He devoured Vance’s books, as did I and we both learned to love them. Thank you from us both. You've been enhancing my life since the 60s. Baron Bodissey's observations are part of my brain. Thank you so much Jack. You are part of the engines of the universe now, and rightly so. Thank you again. I think his books were probably the greatest influence in my life that got me on this road and made me want to explore the miracle that is our world for the past eight years. The meter of his books I discovered in my local library made for the most magical summer ever. Thank you, Jack. I've felt like I've rarely regretted the loss of someone. There has never been anyone like him nor will there. It is the only author to whom, late teens, I idolized. Thanks for making me dream. Thanks Jack. Just thanks for everything. May you rest in peace. Sedert de jaren tachtig tot heden (en in de toekomst) mijn favoriete schrijver, genoten van taal, humor en tot de verbeelding sprekende omgevingen en situaties. Mijn dank voor deze ervaring. Farewell to the most underrated American writer of our time. Thank you for the many years of pleasure and inspiration. Thank you, for some of the great moments of my life. Strange. Not ever having met Mr. Vance in life (and in the pre-Internet era not even knowing how he looked like), the impact of the insightful psychology of his characters and the ethical resonance in his story-telling made him my favourite author, not to say an imaginary mentor of my childhood. A chapter is closed. The page turns. Thank you so much, Jack. I chanced to find The Dying Earth on the book rack at the local newspaper stand when I was in high school back in '62. It changed my life by introducing me to the splendors our language can achieve when written with the lapidary skill of such a master as Vance.I went on to Dickens and Balzac and the rest but have always returned to my first love - Jack Vance. Thank you Mr. Vance, for what you did for me and for so many others.Your work lives on. Rest in Peace. as plastic as wax" !! my family the most enormous pleasure. Mr. Vance......You were the best. Thanks for all the books you have written. I am gratefull that the most of them have been translated in Dutch. You will be missed. I first read 'The Dying Earth' as a 16 year old in 1968; since then Ive read all the Dying Earth series at least 20 times! Fantastic use of language; wry situations; great characters; terrific imagination. Nous qui étions si insatiables de rêves... Puisse ton incroyable univers inspirer bien d'autres auteurs ! Merci pour tout Jack ! An avid reader of Mr.Vance's books since my teens. A sad loss.. Thanks for all those many many hours that had me buried in your stories ! I can't add more superlatives. Thank you for your life and works. Have been reading Jack since about 1972. Like many here, I've read everything twice or three times. Never gets old. I quote Baron Bodissey every chance I get, when appropriate. Occasionally, someone knows of whom I speak. Had a cat named Kirth. A sad year. Here's to the man whose books made my skin tingle and my mind wander in the past 35 years. He is my father's favorite author, and mine too. We named a cat after him. What a cat, and what an author. Jack, bedankt voor al je boeken, die ik heb mogen lezen. Fantastisch!! Here's one for Jack. I have every book he ever wrote, and have read them again and again, and will until I join him. He had a creative mind second to none and a way with words that I still marvel at today. There will never again be a writer like Jack. Fan forever since reading Tschai and Demon Princes. Even named myself after one. My gratitude is endless, may you rest in peace. My favourite writer has gone. He was a master of style and wrote on the same level like Tacitus or Kafka if more entertaining. Not a stupid follower of time spirits he will earn his full honour in coming eons (this told with a raised monitoring finger towards the noble prize committee). Thank you for all the happy hours reading. 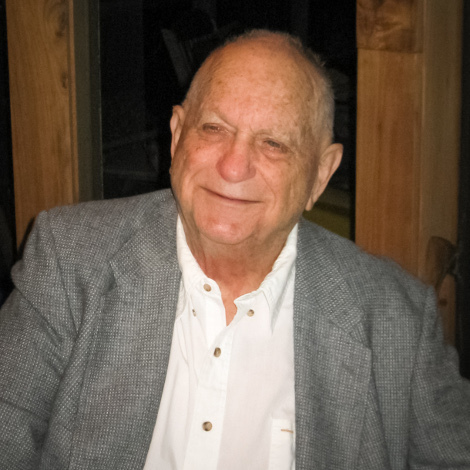 Jack Vance, rest in peace. He was my favorite author by a very wide margin. I was introduced to Jack and Norma by a mutual friend while I was in college, and had the opportunity to visit them once or twice. They were wonderful hosts, and I still remember the conversations. I love his books and look forward to introducing them to our son. I have read virtually all of Jack's books, first coming across them early in my teenage years, and have most but not yet all of them, often combing through second hand books stores in the hopes of coming across one I didnt already have. I loved his prose, his descriptions of the peculiar and eccentric peoples in his worlds, and wish I could visit some of these places. I would find myself unconsciously imitating his writing style in my written communiations and speech for days after finishing one of his books. RIP Jack Vance, you have provided me with hours of entertainment and imagination. Jack, you were the finest author of your century and the inspiration for other Masters and Grand Masters. The true, creative grandmaster of SF. Thanks for all your wonderful stories.
" Maloof took up his tankard. "For want of a better toast, I salute the ten thousand generations of brewmasters, who through their unflagging genius, have in effect made this moment possible!" "A noble toast," cried Wingo. "Allow me to add an epilogue. And then, is it not possible that a bright gap will appear in the dark, through which the brewmasters are allowed to proceed, to build a finer universe?" I, for one, will be lifting my tankard to toast Mr. Vance. Thank you for the stories and the memories, may you proceed to that finer universe. For Lyonesse and the Dying Earth, thank you thank you thank you. You will be missed. I think he was simply the greatest author. I think future generations will agree. Just today I learned with great sadness about the death of Jack Vance. He has been an friend and inspiration for me since I read my first novel of his hand (I believe it was The Star King). Every time there was a new novel come out I had to had it and dropped everything so i could start reading it right now. Thanks for the joy you gave me all these years. With great pleasure I will read and re-read all your stories over and over, just feeling sorry for the fact that you're not there anymore to expand you universe. Ik hope and prey you'll be in the world you most enyoyed being in. Thanks for a Dutch fan. Thank you Jack, for years and years of pleasure. Your characters, your plots and your settings have brought me joy and exhilaration for the last quarter of a century. This droll, sly, clever, Wodehouse-ish language. There are even aunts. Cheers and thank you. Bedankt voor alle fijne uren leesplezier. Thank-you Mr. Vance for all your work. Reading a Vance is like eating a good meal: A real cure for broodiness. Thanks for all the writings Jack. Gracias, Jack, por habernos dado tanto. (Desde Buenos Aires).